My list of favorite trees is quite large but this one is right up there. There are two widely used weeping birch that we grow Tristis being the larger choice. 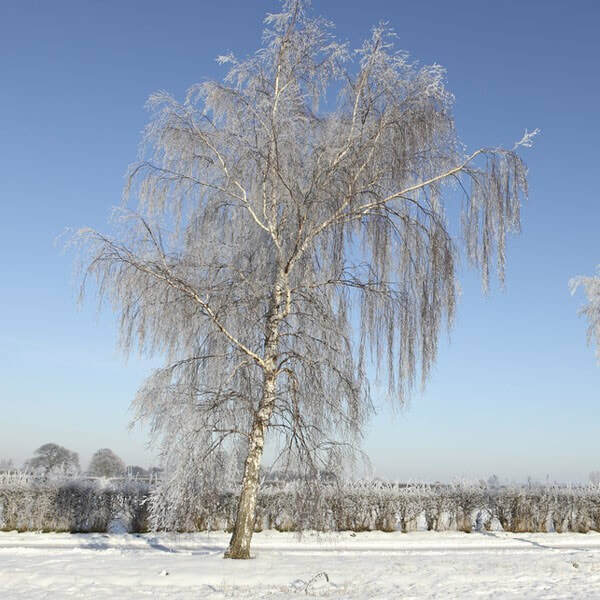 It is without doubt the most graceful of the silver birches - tall and slim with slender pendulous branches forming a beautifully laid back yet symmetrical canopy. Tristis is an excellent choice for adding height to any garden without casting heavy shade thanks to its light and airy canopy. Come winter this framework of swaying branches provides a stunning silhouette again the low winter sun or on frosty mornings. To top it all off you get the characteristic white bark of the silver birch and beautiful yellow foliage come autumn.